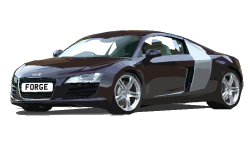 If you are an Audi owner in the Burghfield, Burghfield Common, Mortimer, Grazeley Green, Tadley, Reading, Sulhamstead, Theale, Ufton Nervet or Wokefield areas bring your car to the Forge Garage Burghfield Common for excellent Audi servicing and Audi repairs. Audi is a German automobile manufacturer. Audi was founded in 1909 and has grown to be one of the largest motor manufacturers in the world. Audi cars are very popular in the UK.